Ez Steer Kicker / Auxiliary outboard steering arm in good condition. I don't know the exact model number. Lets you steer your auxiliary engine from your boat's main wheel. Closed on weekends. We allow a. Here for your consideration, new, never used. I opened to verify contents all parts are there in bags. I opened the one to show that all the brackets and everything is there. QTY ONE SET (1 side). We allow a. Closed on weekends. EZ-Steer Inner Tube Ball Joint -This replacement Ball Joint is made of high strength Delron and Brass for smooth operation and increased strength. -Comes with the mounting screw and fits all EZ-Steer rod inner tubes that have an inside diameter of 5/8 inch. Marinetech Evinrude E-Tec Bracket. Fits 20" Shaft. EZ-Steer Outer Tube Ball Joint -This replacement Ball Joint is made of high strength Delron and Brass for smooth operation and increased strength. -Comes with the mounting screw and fits all EZ-Steer rod outer tubes that have an inside diameter of 3/4 inch. Each kit contains: I/O bracket assembly, rod & auxiliary outboard bracket assembly. Paint / Liquid Cleaning and Maintenance Products. Electrical Parts and Fuel Components. Opened Computer Software, Electronic Charts or Videotapes. The EZ Steer system allows you to safely and easily steer your auxiliary outboard engine from your boat's main wheel, even if one is raised or tilted! This allows you to pilot your kicker motor without being stuck in the back of the boat hanging over the transom to steer. 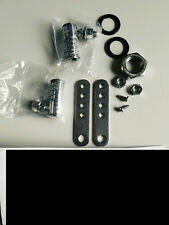 Each kit contains: I/O bracket assembly, rod & auxiliary outboard bracket assembly. Large orders and orders for multiple products may take longer to process. Item Location: Our main office is located in Stuart, FL but we have warehouses located all across the country. Auxiliary Bracket Assembly, 4". For: 4" Swim Platform Auxiliary Motor Bracket. Paint / Liquid Cleaning and Maintenance Products. Electrical Parts and Fuel Components. Opened Computer Software, Electronic Charts or Videotapes. The rod consists of two stainless steel tubes. Paint / Liquid Cleaning and Maintenance Products. Electrical Parts and Fuel Components. Opened Computer Software, Electronic Charts or Videotapes. Custom or Special Orders. The rod consists of two stainless steel tubes. Length: X-Large 39" and up. Paint / Liquid Cleaning and Maintenance Products. Electrical Parts and Fuel Components. Opened Computer Software, Electronic Charts or Videotapes. The rod consists of two stainless steel tubes. Length: 19"-22". Paint / Liquid Cleaning and Maintenance Products. Electrical Parts and Fuel Components. Opened Computer Software, Electronic Charts or Videotapes. Paint / Liquid Cleaning and Maintenance Products. Electrical Parts and Fuel Components. Opened Computer Software, Electronic Charts or Videotapes. Custom or Special Orders. Products cannot be installed, used or disassembled or have any missing parts or hardware. Auxiliary Bracket Assembly, 3". 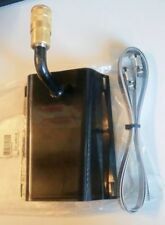 For: 3" Swim Platform Auxiliary Motor Bracket. Paint / Liquid Cleaning and Maintenance Products. Electrical Parts and Fuel Components. Opened Computer Software, Electronic Charts or Videotapes. Evinrude E-Tec Bracket. For: Main Engine, Evinrude E-Tec Outboard Bracket. Based out of Stuart Florida, we live boats. Paint / Liquid Cleaning and Maintenance Products. Electrical Parts and Fuel Components. The rod consists of two stainless steel tubes. Length: 23"-26". Paint / Liquid Cleaning and Maintenance Products. Electrical Parts and Fuel Components. Opened Computer Software, Electronic Charts or Videotapes. The rod consists of two stainless steel tubes. Length: 27"-28". Paint / Liquid Cleaning and Maintenance Products. Electrical Parts and Fuel Components. Opened Computer Software, Electronic Charts or Videotapes. Restricting Tether 4-Stroke. Paint / Liquid Cleaning and Maintenance Products. Electrical Parts and Fuel Components. Opened Computer Software, Electronic Charts or Videotapes. Custom or Special Orders. Stainless Bands. Paint / Liquid Cleaning and Maintenance Products. Electrical Parts and Fuel Components. Opened Computer Software, Electronic Charts or Videotapes. Custom or Special Orders. Products cannot be installed, used or disassembled or have any missing parts or hardware.